“Flooding and other water damage can threaten your home or commercial property’s structural integrity, ruin belongings, and destroy precious mementos. We pride ourselves on our total commitment to your home or business restoration needs, and understand that the last thing you want to do during an emergency is deal with your insurance company. We work directly with your insurer, so that you can focus on work, family, and other areas of life. Natural disasters are stressful enough without adding insurance worries to the mix. Let Ross Cleaning & Restoration Inc. manage those details for you! plan that can return your building to its former state of glory. Use drying equipment to remove any residual moisture and humidity. This is essential to reduce the potential for long-term structural damage, and to guard against moisture that might provide fertile ground for bacteria or mold. Clean the affected area. In the aftermath of any flood, bacteria and other organisms often linger in the area. We sanitize the structure to ensure that those organisms are eliminated before they can pose a risk to your health. to fully restore your home or commercial property. When your home or business has been ravaged by flooding, residents and business owners in the Fort Wayne area can rely on Ross Cleaning & Restoration Inc. for the water extraction cleanup and restoration services they need to repair water-related damage. Flood waters, broken pipes, and other water-related events result in billions of dollars’ worth of damage throughout the United States each year. Unfortunately, there is often little that property owners can do to prevent flooding from happening – but there is much that you can do to restore your home or commercial structure in the aftermath of one of these natural disasters. 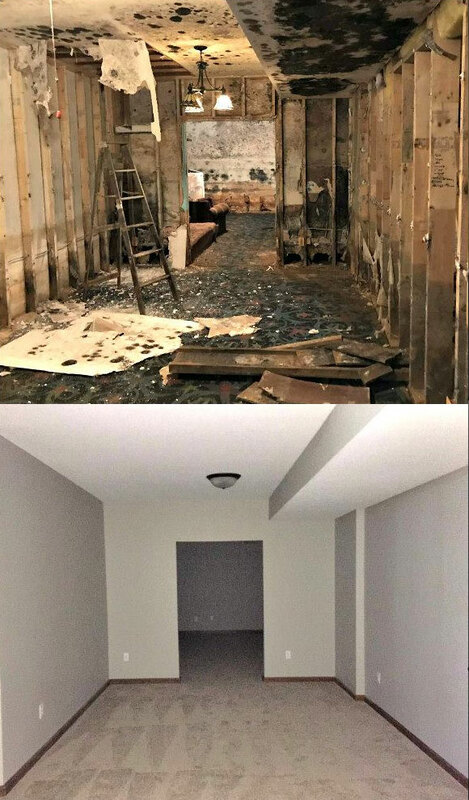 Ross Cleaning & Restoration Inc. is the one company you can rely on for superior water damage restoration in Fort Wayne, IN. At Ross Cleaning & Restoration Inc., we are committed to providing you the best water extraction and water damage restoration service in Fort Wayne, Indiana. To do that, our team focuses on quality cleaning and restoration services, superior customer service, and a relentless drive to ensure customer satisfaction. To learn more about how Ross Cleaning & Restoration Inc. can meet your water extraction and water damage restoration needs, contact us today at (260) 625-6677.